It’s May 1, rush hour, and I’m sitting on a crowded Toronto streetcar brought to a halt at the intersection of Queen Street West and University Avenue, one of the busiest parts of the city and not far from the heart of Canada’s financial district. Police are everywhere and in the distance about a thousand protesters approach. There is chanting and drumming and the hoisting of signs in support of “the 99 per cent,” and mixed among them are banners condemning corporate profits made at the expense of the planet and its people. 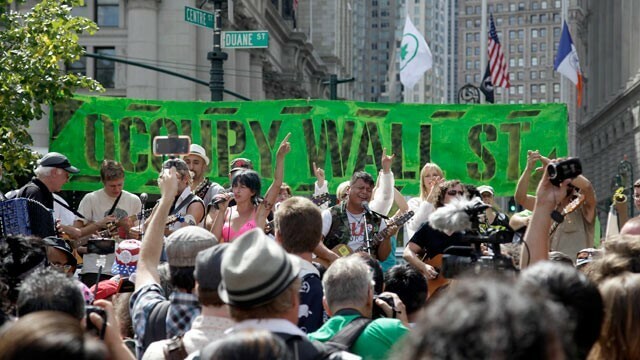 This is one of many May Day protests being played out across the country – across the continent – and it’s a reminder that the Occupy movement didn’t go away. It was only hibernating, conserving its strength in preparation for the second of what will likely be many outbursts to come. This “vivid expression of a broader anxiety” – as U.S. President Barack Obama described it in an April interview with Rolling Stone magazine – may seem worlds apart from the discussions taking place in the boardrooms of corporate Canada. On a very basic level, however, there is growing recognition among the country’s biggest companies that business-as-usual isn’t a sustainable option over the long term. 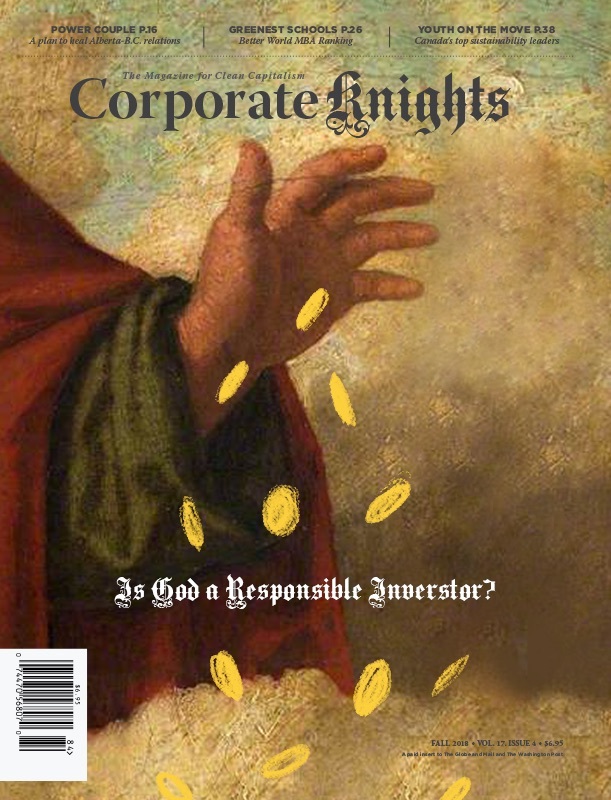 It’s why corporate social responsibility is on the rise, and why more investors are pushing corporations to take CSR beyond window dressing by turning it into a pursuit for that triple bottom line: people, planet and profit, each dependent on the others. Corporate Knights’ 11th annual Best 50 Corporate Citizens in Canada is a reflection of that pursuit, and a measure of its progress – be it evidence of increasing diversity in the boardrooms of the nation or more efficient use of energy, water and the natural resources that are the pillars of our economy. The meaning of corporate citizenship has evolved from philanthropy as a side project to how corporations can change the world for the better through their individual core competencies. There is much to celebrate in this year’s Best 50 ranking. On average, 19.77 per cent of directors on corporate boards are women, up from 16.86 per cent in 2011. Representation of visible minorities or aboriginals on boards also went up slightly, to 4.53 per cent from 3.57 per cent a year earlier. The number of corporations with a sustainable development-themed board committee also increased, most noticeably in the materials, industrials and consumer sectors. This year 88 per cent of companies overall had such a committee, compared to 76 per cent in 2011 and 68 per cent in 2010. In some sectors there was an increase in the number of corporations that tied a senior executive’s compensation to sustainability targets. This was most evident in the energy sector, where 88 per cent of companies have created this compensation link compared to 76 per cent in 2011 and only 41 per cent in 2010. The financials sector made significant progress as well, with 50 per cent of companies having an executive compensation link compared to 36 per cent last year. All wasn’t good news. The average percentage of defined benefit pension plans that are funded is down again this year, as is the average percentage of statutory taxes that was paid. There are some surprises on the Best 50, such as scandal-rocked SNC Lavalin (ranked 11th this year). The Montreal-based engineering firm has been in hot water over suspicious payments to certain executives with close ties to the family of former Libyan dictator Moammar Gadhafi. At least one executive is likely to be charged with fraud and corrupting a public official. While these events dominate current perceptions of the company they represent a small part of SNC’s overall impact, including its leadership on energy efficiency and low-carbon energy projects. Our methodology does not bend to news cycle gyrations, but is firmly grounded in transparent objective operational metrics, on many of which SNC scores highly. Still, it’s a reminder that these are early days in the age of clean capitalism. The size and volume of future Occupy protests may prove one valuable barometer of changing corporate attitudes and actions in the years ahead.